Desktop computers are slowly but surely being replaced by their portable laptop counterparts, but there’s nothing wrong with trying to reinvent the wheel and freshening things up a bit. These designers have done just that with these ten futuristic computer concepts. Continue reading to see them all. 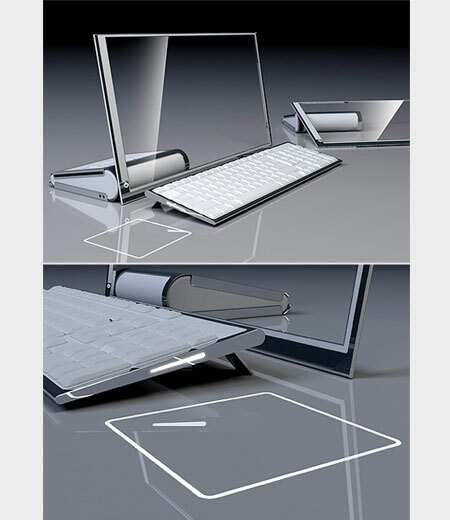 Proposed to be sold as a stand-alone unit the HP LiM (‘Less is More’) concept is set to feature a 19″ transparent touch OLED screen along with a wireless keyboard. The touch screen slides down to create a more ergonomic touch experience and easy navigation. It also features a virtual trackpad thus cutting down on mouse costs. 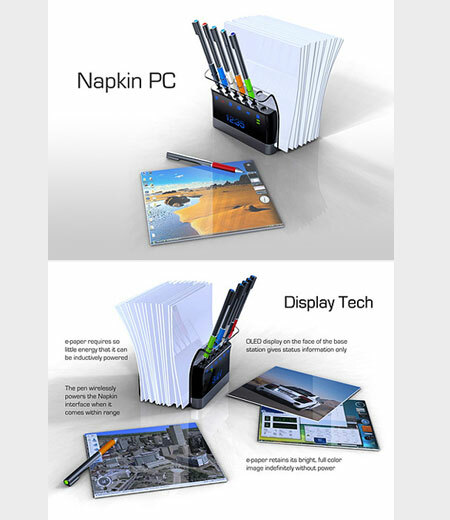 The Napkin PC is designed for group collaborations. Each pen transmits your doodles to the base station which is a PC in disguise. That information gets processed and displayed on the napkin like e-ink paper. Cool idea but someone better make sure nobody decides to wipe their dirty lunch stains with one. 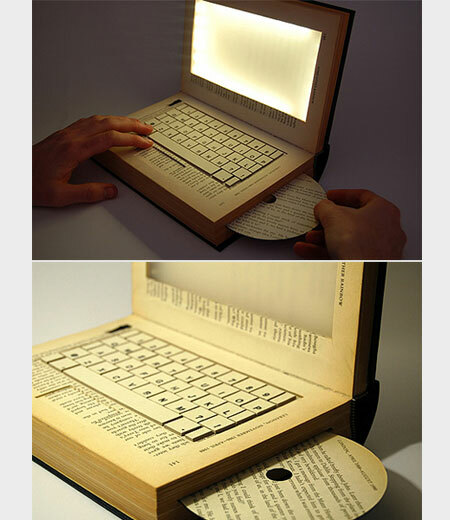 The book/laptop, has a CD-Rom drive complete with CD, a keyboard that can be removed so as to access the battery, and a switch that turns off the screen light once the book is closed. The book when closed, looks just like a regular book until opened. The words, “The Future of Books” is inscribed on the spine. I think Kyle did a wonderful job expressing the changes the world is facing regarding technology. 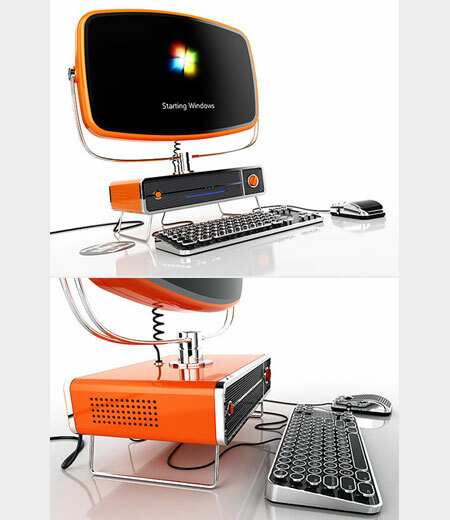 Some highlights of this Kubrick inspired mother ship computer include a membrane keyboard that appears when needed, integrated optical drive and when not used as a computer, the projector can beam ambient light effects on any surface you desire. 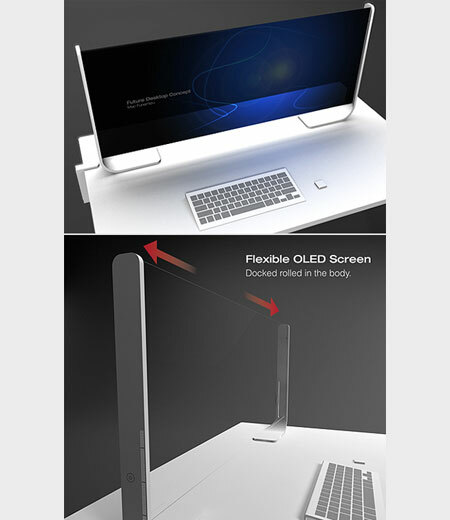 This flexible OLED monitor concept which supposes the OLED material would roll up inside the white stand and allow the user to choose the optimum screen size. 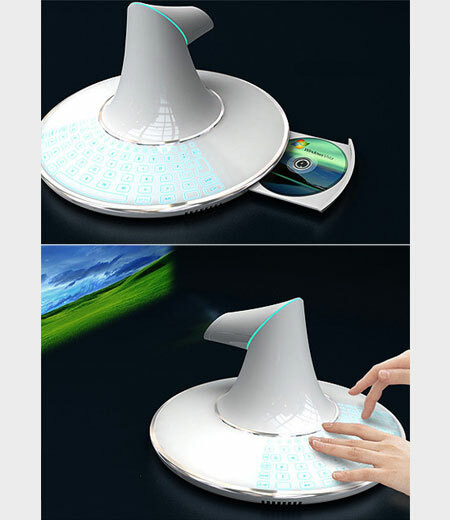 Supposing that the material could compact itself that tightly, he goes on and mounts a cd drive behind the translucent screen and for good measure throws some invisible projection technology in as well. The “Bookshelf” operates with add on hardware attachments supplied by digital service providers which controls the copyright issues but still accommodate convenience and portability that is expected from computer users of today. As the users acquire hardware attachments from digital service providers of their choice, the “Bookshelf” expands into a multimedia library. Each individual hardware attachment is configured to download and play contents and also moderate copyrights. The concept envisions a new infra-structure of digital media and how consumers will interact with them in the near future. 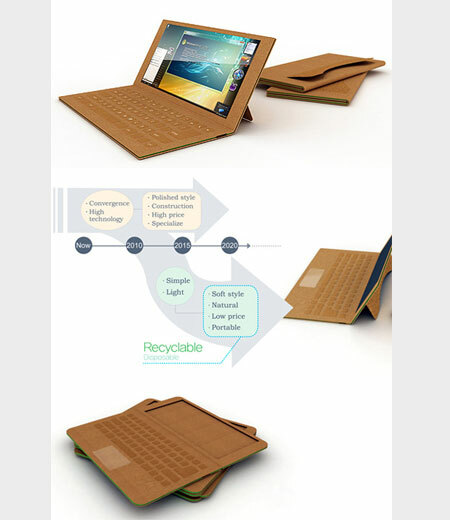 It uses recycled paper or pulp material all packed in layers. This is so that you can easily replace the damaged portions (even corrugated paper will tear easy). The vibe of a Paper Laptop is intriguing, I know eventually someone will figure out the tech bit, so let’s see who will take the bait. Microsoft’s Portable PC Theater is an object of envy for those in need of a space-saving home entertainment solution. 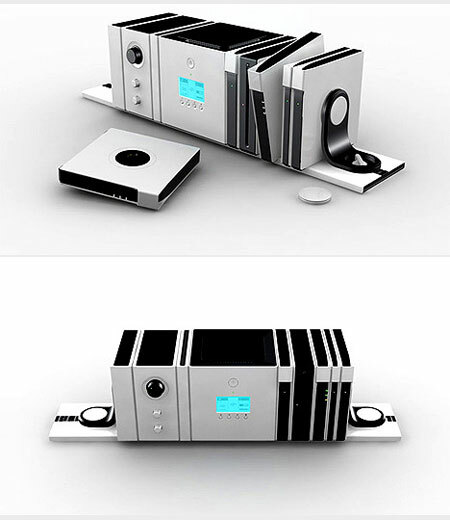 This svelte computer system boasts a built-in projector, CD/DVD drive, and integrated speakers. 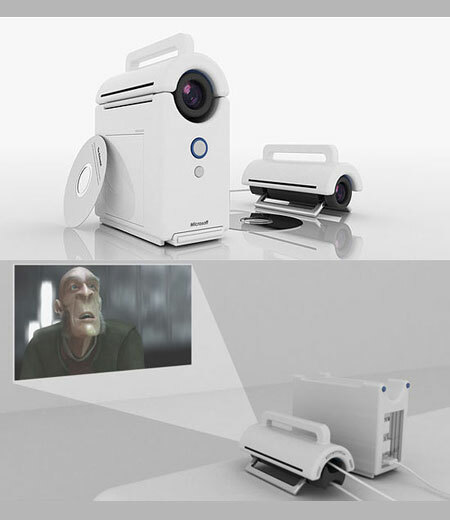 The Portable PC Theater is one computer designed for pure entertainment. In lieu of a display, it has a built it projector which can be removed to better positioning. Don’t worry about sound because flanking the projection lens are stereo speakers. What about messy cords? All cords retract into the unit when not in use and because it is a computer, there’s a collapsible keyboard. 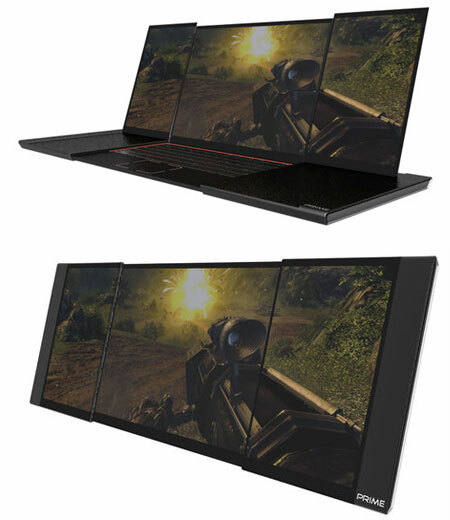 The middle screen is just 10 inches in size while extra screens on the left and right add the extra 16 inches to the total screen size making a total aspect ratio of 32:10. The body of the Prime Gaming Laptop is made of aluminium and large vents can be found which keep the 2 CPU’s and GPU’s nice and cool. MCT came for me at a time in my life when I needed a sense of direction. Today I find myself in third level and am thoroughly enjoying it! I learned many skills there that I still use to this day, skills I will need when I enter the workforce. At MCT not only were the modules interesting and relevant but all the staff were a big help in me graduating with distinction. If you’re like me and you’re not quite sure where you’re going in life then I recommend this course – it’s a great start. I have just completed the Computer Applications for the workplace. Over the past year I have learned so much and I now feel I have a solid foundation in achieving my goals. The tutors were very helpful and encouraging. The environment was friendly and all the staff were welcoming. I would recommend this course to anybody either to learn about computer applications or wanting to update their skills. I attended the full time course in 2014 and found it an excellent foundation on which to expand my IT experience. The instructors and staff are extremely helpful. They encouraged and advised me on how best to achieve my goal of a career in IT. I would have no hesitation recommending Mohill Computer Training to anyone with similar ambitions.